Tai chi’s slow-motion, stretching movements are easy on muscles and joints. For that reason, it’s safe for individuals of all ages and varying levels of fitness, including post-surgical patients, and even those in wheelchairs. It’s aerobic conditioning that won’t leave you breathless. As it increases the circulation of blood and oxygen, it strengthens the immune system, reduces inflammation, and promotes healing. With increased exercise, comes weight loss. And because it improves flexibility, balance, and muscle strength, it’s a good way to lower the risk of falls for older individuals. But even advanced athletes can improve their overall fitness, as they lower their blood pressure and increase both energy and stamina. The psychological benefits of tai chi are just as powerful. Tai chi relaxes at the same time that it increases concentration. You’ll find your mood lifting, as the symptoms of depression, stress and anxiety recede. You’ll feel more confident as your body strengthens and you improve your self-control. I’ve seen firsthand how tai chi has improved both the physical and emotional well-being of my clients. 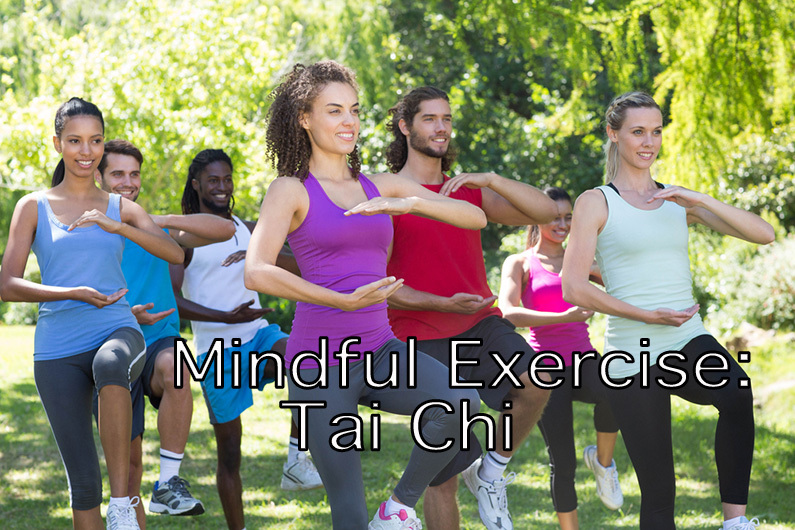 Individuals whose physical limitations made it impossible for them to handle typical workouts were easily able to practice tai chi when introduced to it in manageable stages. One patient in his sixties came to me for both psychotherapy and exercise following an injury to his shoulder. He’d been frustrated by his pace of recovery, but as we gradually introduced tai chi to his sessions, the healing progressed, and he began to see a way forward. This has been my experience with other patients as well; the ability to work within their physical capabilities ignites enthusiasm and hope. So consider adding tai chi to your health care regimen. You’ll be filling a centuries -old prescription for physical fitness and emotional well-being.